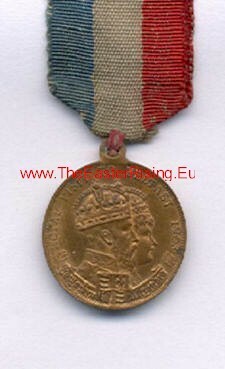 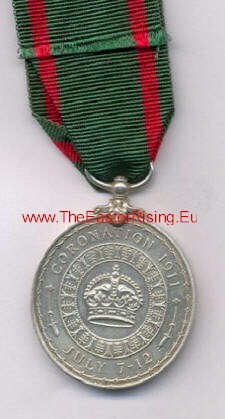 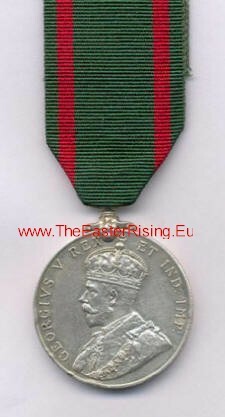 ﻿ Medals issued to RIC & DMP for work during various Royal visits to Ireland. 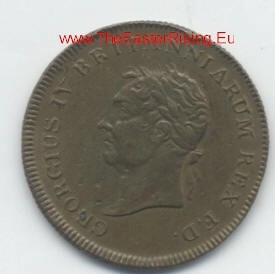 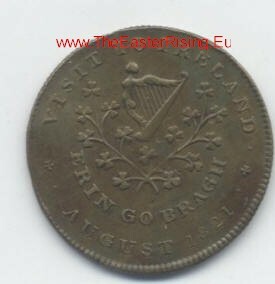 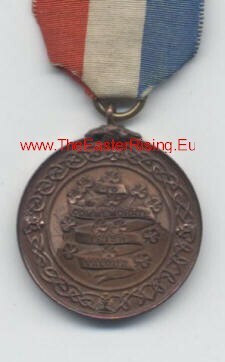 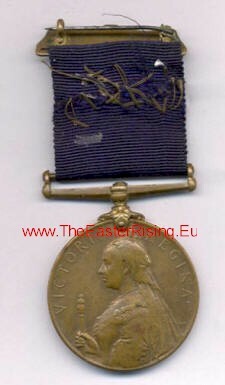 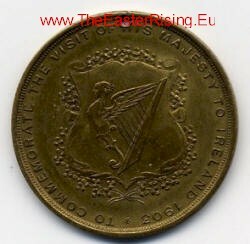 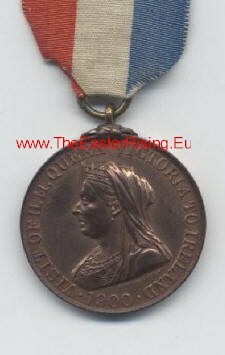 Description: The obverse of this medal bears the head of Queen Victoria while the reverse has the figure of Hibernia looking over Kingstown harbour where the Royal Yacht is seen in the background. 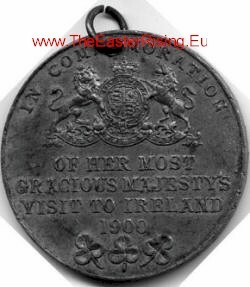 Comments: Awarded to members of the Royal Irish Constabulary and Dublin Metropolitan Police who provided policing and security for Queen Victoria's visit to Ireland. 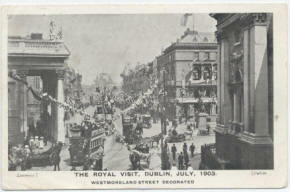 This is an unofficial souvenir of the 1900 visit that would have been sold / given to members of the public. 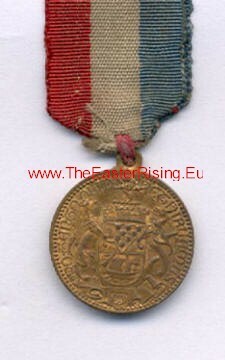 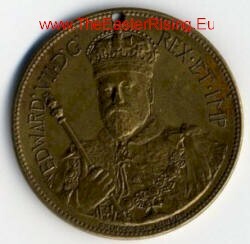 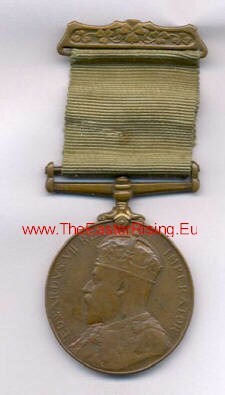 Description: The obverse of this medal bears the head of King Edward VII while the reverse has the figure of Hibernia looking over Kingstown harbour where the Royal Yacht is seen in the background. 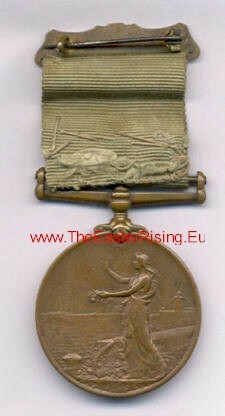 36mm bronze medal with. 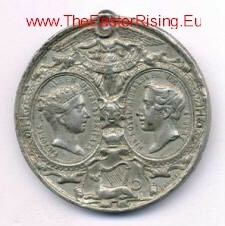 Engraved capital letters for naming. 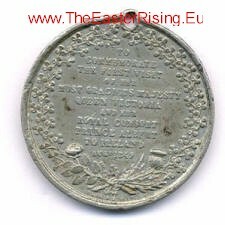 Awarded to members of the Royal Irish Constabulary and Dublin Metropolitan Police who provided policing and security for King Edward's visit to Ireland in 1903. 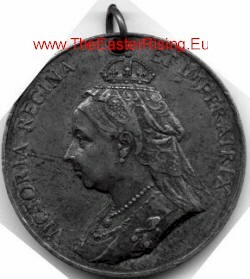 Description: The obverse of this medal bears the bust of King George V while the reverse has a crown in the centre with an ornate surround and the words 'CORONATION 1911' above and the date 'JULY 7-12' . 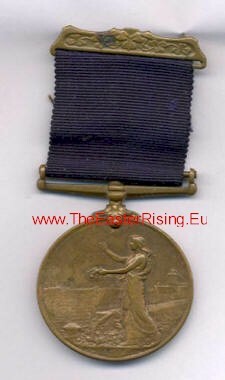 Awarded to members of the Irish police forces and certain civil dignitaries involved in King George V's visit to Ireland in July 1911. 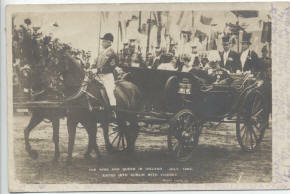 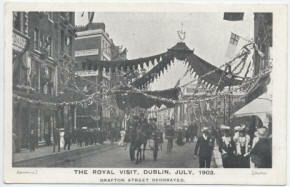 The Royal Visit, Dublin, July 1903. 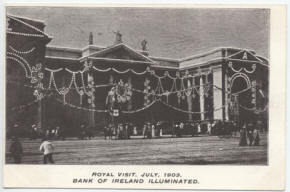 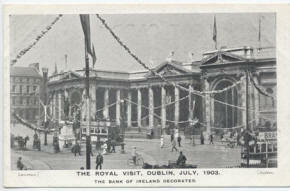 The Bank Of Ireland Decorated The Royal Visit, Dublin, July 1903. 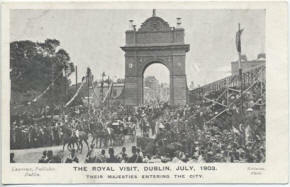 Royal Visit July 1903. 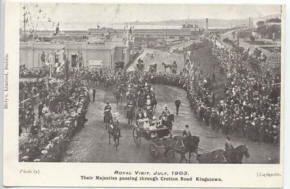 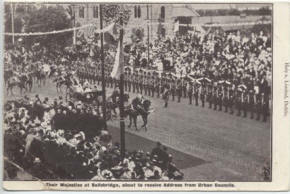 Their Majesties passing through Crofton Road Kingston Royal Visit Dublin July 1903. 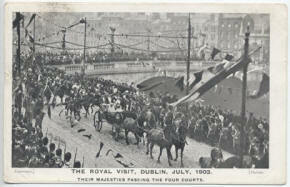 Their Majesties entering the City. 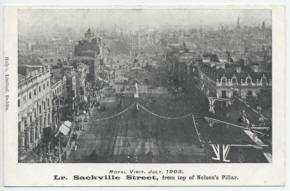 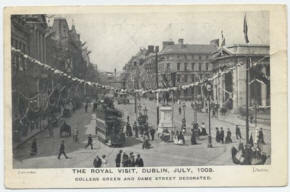 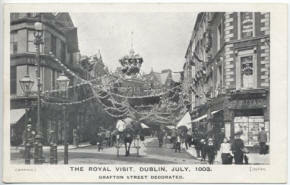 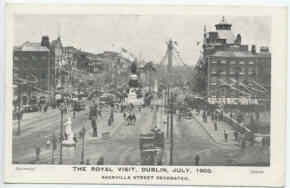 The Royal Visit Dublin July 1903 .Sackville Street Decorated Royal Visit July 1903. 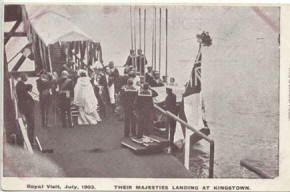 Their Majesties landing at Kingston.